YES.. 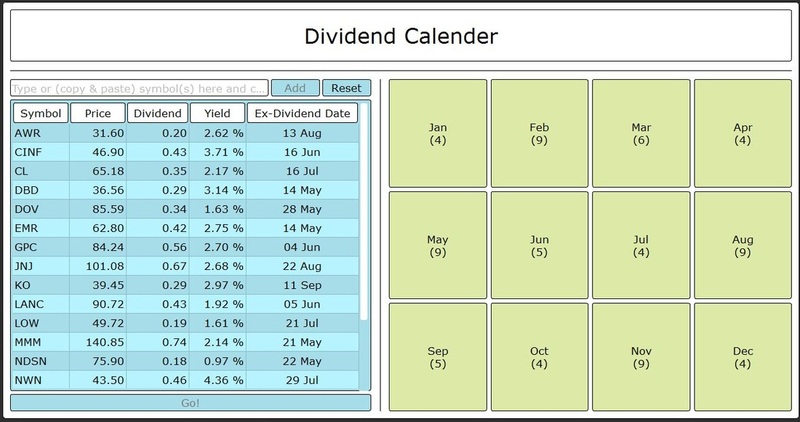 I want my own copy of this amazing Dividend Stock Software. I want to know which company is getting ready to pay me a dividend check every day on the month. I want as many dividend check as I can. Click here to watch a quick how to video. Make sure you double check the dates with you broker. This calculator pulls data from past performances, Dates given are close proximity as to current weekends and holidays may skew data. Also keep in mind that Corporations may choose to cancel dividend payments without warning.